A Full Annual 67-point Service is usually recommended on vehicles from 3 years old, especially where the previous service history is unknown. *Install vehicle protective covers and Carry out initial road test and record results. Check vehicle service history where possible. Check manufacturer service specification and advise any items not included in this inspection. Locate wheel nut locking key. *Flush engine using forte motor flush to remove old oil deposits and help piston rings to maintain compression pressures (at £7.68 including VAT; see use of Forte Engine Flush). *Refill engine oil (fully synthetic and special oils such as low ash at extra cost). *Replace sump plug washer or sump plug, where required (at extra cost). *Check cam belt replacement intervals and advise customer. Check condition of air filter (replace if required at extra cost with the customer’s permission. Check condition and replacement interval of spark plugs (replacement will be at extra cost with customer’s permission). Check throttle body and advise if cleaning required (cleaning extra cost with customer’s permission). *Carry out under bonnet lubrication. *Check Operation of electric cooling fan. Carry out visual check on condition of radiator. Carry visual check of expansion reservoir and cap. Check condition of radiator cap. Carry out visual inspection of coolant pipes and hoses. *Check strength and condition of coolant. (Replacement is at extra cost with customer’s permission). *Visual check of fuel lines condition. Check fuel filter replacement in accordance with manufacturer’s specification. (Replace at extra cost with customer’s permission). Check condition of fuel cap. *Install Forte fuel additive, (extra at £7.68 for petrol and £8.94 for diesel including VAT; see use of Forte fuel additive). *Report any defects e.g. 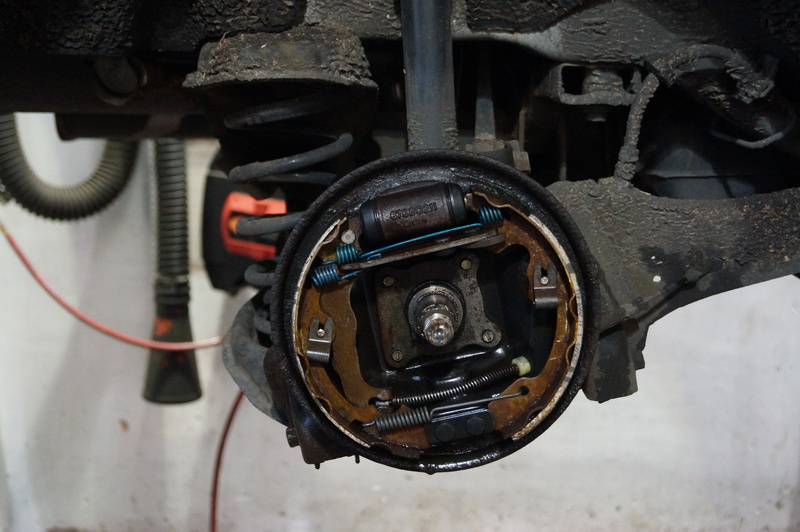 gearbox or clutch observed on Road test. *Carry out visual inspection of gear box, transmission shafts and axles. Lubricate transmission shafts where applicable. Check and top up transmission oil levels (Oils used at extra cost). *Top up clutch fluid where applicable. *Check of operation and condition of external lights. Check battery condition and security. Lubricate battery terminals where necessary. Top up battery if none sealed type. Check alternator drive belt condition. *Check visual operation of Power steering. *Check power steering drive belt. *Top up power steering reservoir. (Oil used at extra cost). Lubricate steering and suspension where applicable. 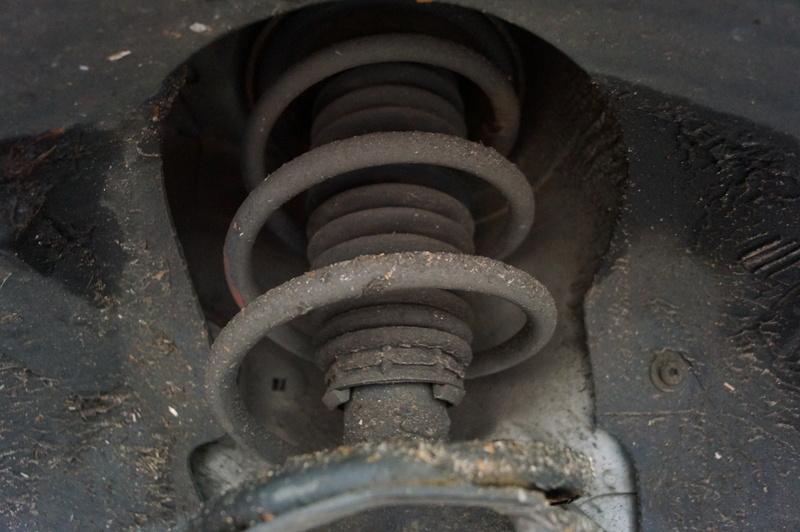 Check Shock absorber general operation and condition. 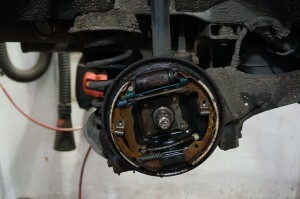 Carry out general inspection of suspension including bushes and springs. *Check wheel bearings for play and noise. *Carry out visual inspection of brake pipes and hoses. Check operation of parking brake mechanism. 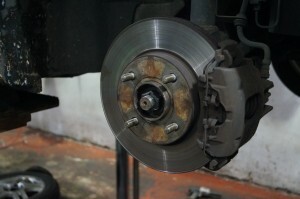 *Carry out visual inspection of brake pads and discs and record findings. Remove excess brake dust from drums. Carry out Inspection of brake drum condition (grinding or replacement of drums extra cost with customers permission). *Test brake fluid to determine boiling point, recommend replacement if required. (Replacement of brake fluid is at (extra cost with customer’s permission). Top up fluid if required. Carry out brake Lubrication and adjustments where applicable. *Inspect road wheels and Torque retaining nuts/bolts to specification. *Tyres carry out visual inspection and record tread depth. *Check tyre pressures including spare. *Check condition of exhaust system and its mountings. *Check operation of windscreen washers. * Check operation and effectiveness of front wipers. *Check rear wiper operation and condition. Check pollen filter (replacement at extra cost parts and fitting) with customer’s permission. Check operation of air conditioning. *Final road test, and remove protective covers. *Reset service light (provided data and tooling available). Return wheel nut locking key to passenger seat for customer to safely retain. * Indicates items checked on intermediate service. Note: Forte engine flush and fuel additives are used on every service at our cost price. If you do not wish these products to be used please inform the reception staff when booking your service.